Special counsel Robert Mueller has recommended no prison time for former national security advisor and Trump campaign aide Michael Flynn, citing his “substantial assistance” with the investigation, according to a new court documentfiled late Tuesday. 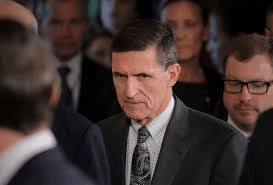 Why it matters: Flynn, who pleaded guilty last year to lying to the FBI about his conversations with former Russian ambassador to the U.S. Sergey Kislyak before President Trump’s inauguration, had agreed to cooperate fully with Mueller’s investigation. Flynn’s guilty plea and move to cooperate was one of the first such deals in the Mueller probe. What’s new: In the court filing, Mueller’s team explains that Flynn has sat for 19 interviews with prosecutors and assisted with “several ongoing investigations,” including the special counsel’s probe of possible coordination between the Trump campaign and the Russian government.